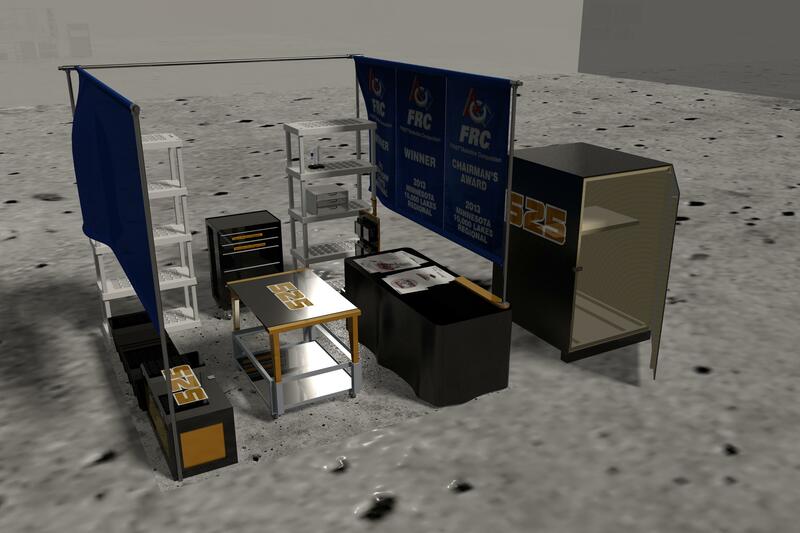 We are proud to continue a partnership with FRC525, The Swartdogs (@525Swartdogs). The students on the team wanted a good way to apply their skills using the design software from PTC called Creo. Using their knowledge, the created a rendering of their 2014 pit area. See what they came up with below! The Swartdogs have also submitted their CAD of the pit area to the site. Check out the Offseason page for the model! Thanks to Tom Ore for the information. What are the constraints in making the pit?